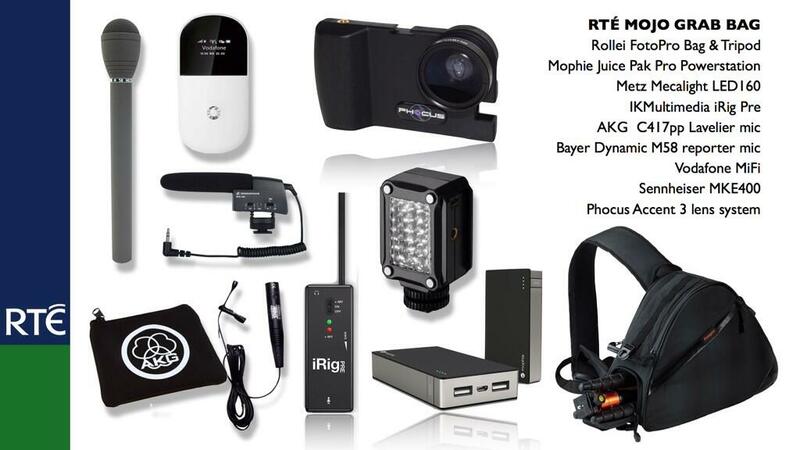 Over Three years ago when I was moving the RTE Mojo project from the Research phase to Roll-Out I put together a “Grab-Bag” with everything a mobile journalist might need to leverage the best from their device. contributed to a Twitter Chat about Mojo with Journalism.co.uk and I updated the kits lists for the chat. Click either of the images below to open a new window which uses THINGLINK which gives dynamic links to more info/sources for the gear featured. Notice in the Midrange Kit (Value about €750) the Tripod featured is different to the one at the top of the post. Reason: I bought a Hahnel Triad Conpact c5. 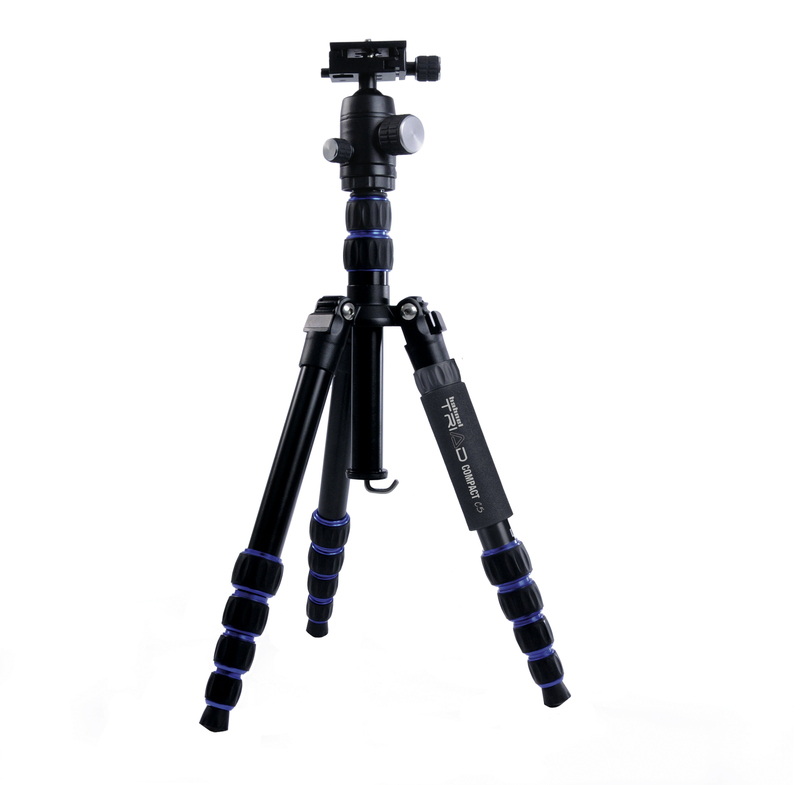 Its quite similar to the Fotopro except for one ingenious feature: One of the legs can be unscrewed and turned into a monopod! The Triad C5 retails for circa €125. DO NOT UNSCREW THE LOCKING RING ENTIRELY OR THE PLASTIC LOCKS WILL FALL OUT AND THE LEG WILL FALL OFF! It may well be possible to 3D print replacement plastic locks but if you loose them your tripod is rendered pretty much useless! Thanks for a great presentation today at http://www.ibc.org. I love your mojo gear blog, but would like to suggest an improvement. The little Metz led is very weak. Actually not giving more light than the build in lamp in iPhone 5. So I would suggest a Sima SL-20 LX instead. It also have a very useful cold shoe where you can attach the Sennheiser MKE 400 mic.